Canada is a vast forest nation with a professional forest sector and ready infrastructure, positioning it to be a global wood pellet supplier. The industry got its start using sawmill residues, and they still meet the bulk of its needs. But it also uses such low-value wood supplies as harvest residues, unmerchantable species, and salvage logs from areas hard hit by insects, disease or fire. There is still plenty of room to grow, as Canada’s 2010 harvest level sat at just 50% of the total volume deemed sustainable by Natural Resources Canada. As a Crown treasure, Canada’s forests are managed for a multitude of values. But don’t take our word for it. Canada is home to 42% of the world’s certified forest area, far more than any other nation. Unlike coal or natural gas, when the lumber has been made to build someone’s home and the pellets used to warm it, the carbon used in the process is being re-absorbed in a vibrant, growing forest. Pellets also produce far less SOx, NOx, C4H4, and mercury than coal during combustion. 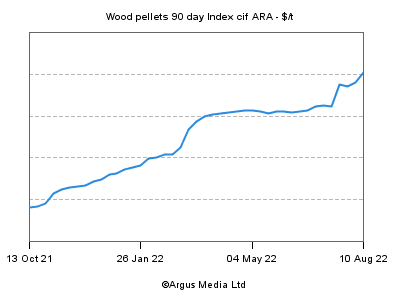 The Wood Pellet Association of Canada continues to work with European power generating clients on setting the bar for quality and environmental standards, so we can all be sure wood pellets are being made in a sustainable manner now, and in the years to come. WPAC and its members don’t have all the answers when it comes to renewable energy, but they do have some. Contact us to find out more, or see the full array of third party reports here.